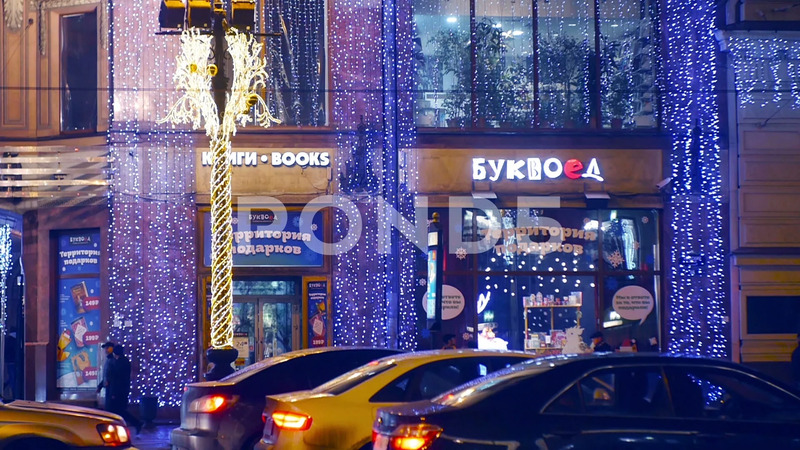 Description: Christmas lights on Nevsky prospect in Saint Petersburg, holiday decotation. Retail street. City hight life.